Venezuelan-American doctors, including Juan Manuel Zambrano of Fort Lauderdale (left) onboard the USNS Comfort off Riohacha, Colombia, last week. ABOARD THE USNS COMFORT | A few years ago, Dr. Juan Manuel Zambrano was a family physician in Mucuchíes, Venezuela, in the country’s mountainous western Andes region. That is, until the day he realized Venezuela’s medicine and medical equipment shortages made it all but impossible for him to practice anymore. So Zambrano came to the U.S. and accepted a scholarship to train as a surgeon in Fort Lauderdale, hoping to take those skills back to Venezuela once – if – conditions ever improve there. 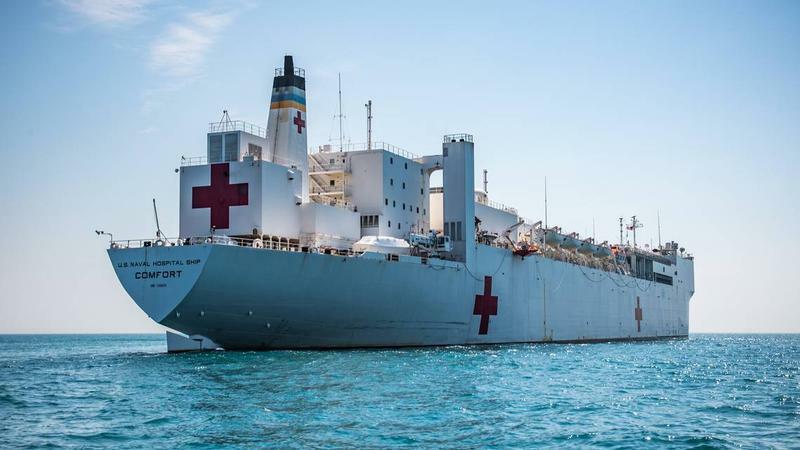 But he jumped at the chance to volunteer with a dozen other Venezuelan-Americans on a U.S. Navy hospital ship, the USNS Comfort, when it came to Riohacha, Colombia last week. Doctors not surprisingly performed free surgeries around the clock last week in operating rooms aboard the Comfort. 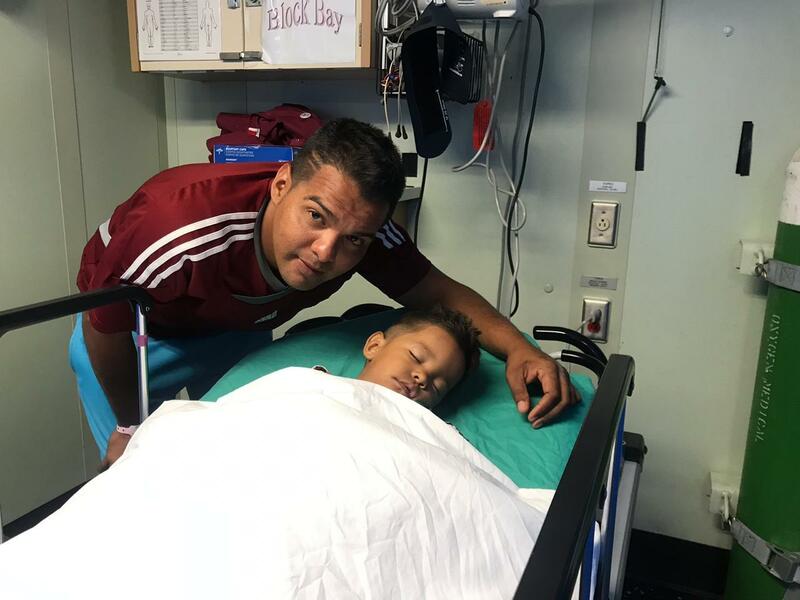 Among the anguished Venezuelans who sought help was Eduardo Borges, a construction worker from Maracaibo whose three-year-old son Santiago needed testicular surgery. The procedure wasn’t available to them in Venezuela – and even when they came to Colombia it cost more than they could afford. Onshore in Riohacha, as the 900-foot-long Comfort towered nearby, a church bell peeled as patients lined up at a school next door for medical care. A health worker kept order with a megaphone as classrooms were turned into examination rooms. And Venezuelans who needed information seemed to gravitate toward doctors like Raquel Girón – if only because they heard her Venezuelan accent. 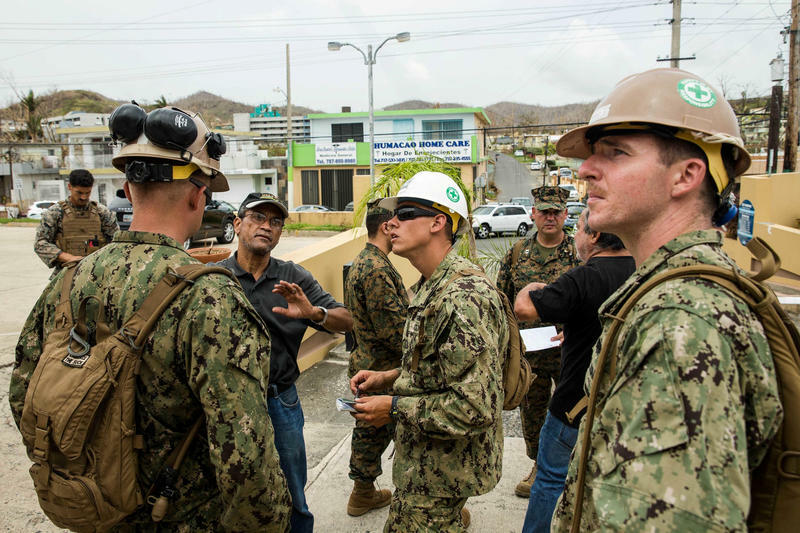 “I help with triage and also with translations, because sometimes there are language barriers” between the Venezuelan and Colombian patients and the U.S. navy doctors,” said Girón. Girón herself left Caracas, Venezuela, three years ago – not just because of the impossible medical conditions but also the repressive political situation for doctors there under the authoritarian socialist regime. Venezuelan refugee Eduardo Borges (left) watching over his sleeping son Santiago before the youngster's surgery aboard the USNS Comfort last week. And to help, she added, “people from Colombia” – as a way to thank Venezuela’s next-door neighbor for taking in the vast majority of Venezuelan refugees in recent years. There has, in fact, been growing tension between poorer Colombians and the hundreds of thousands of Venezuelan refugees there: many of the former feel the latter are taking away jobs and receiving preferential treatment from international organizations like the U.N.’s World Food Program. But 59-year-old Colombian laborer Oscar Ovalle of Riohacha said he could forget about all that last week when he emerged from a Comfort post-op room with a patch on his eye and a grin on his face. As a young man he lost an eye in a car accident – and recently began losing sight in his good eye. A Comfort surgery crew that included the Venezuelan-American doctors fixed the problem. Manuel Rueda reported from onboard the Comfort; Tim Padgett reported from Miami.